The CloudBees team is excited to introduce DevOps Radio, the newest podcast series covering all things related to software delivery. The software development industry is changing faster than you can say “iteration.” How are you supposed to stay educated about everything that’s going on and keep software delivery on schedule? We’ve got you covered. The CloudBees team is excited to introduce DevOps Radio, the newest podcast series covering all things related to software delivery. Now, without taking your eyes off your pipeline, you can tune into conversations with some of the industry’s leading experts. The show’s first guest, Kohsuke Kawaguchi, spoke to DevOps Radio host Andre Pino (you might know him as the Jenkins Butler) about all things Jenkins 2.0 as well as his career path since the founding days of Jenkins (originally called Hudson). Get inside the mind of a Jenkins master directly from the CloudBees website or subscribe to DevOps Radio on iTunes to hear both episodes with KK. Just published last week is the third episode with Bridget Kromhout (@bridgetkromhout), principal technologist at Pivotal and expert on DevOps. Bridget explains why Ops is a place of happiness these days. However, she makes an important point: you can’t “buy” DevOps, it’s not tooling. Nirmal Mehta, technology consultant at Booz Allen Hamilton, gives us an inside look at transformation within a government agency and the talks about the power of Docker. Jacob Tomaw, principal engineer at Expedia, joins us for a conversation about how his organization has achieved continuous delivery in the hotly competitive online travel industry. Gary Gruver, president at Gruver Consulting LLC and author of the book Leading the Transformation, shares advice for IT executives transforming their IT environment to a DevOps culture. …and more coming, in future episodes of DevOps Radio! If you haven’t already, listen to the most recent episode. Then, subscribe via RSS feed (directly from the page) or on iTunes. 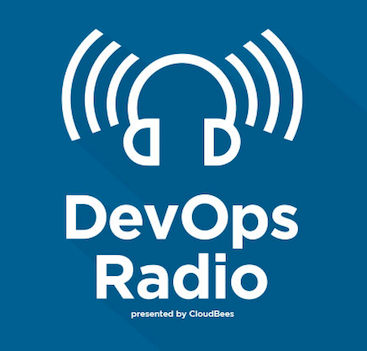 DevOps Radio is sponsored by CloudBees and if you’re interested in updates on upcoming episodes make sure to follow CloudBees on Twitter (@CloudBees). Suggestions or thoughts? Let us know in the comments below or feel free to tweet at us!